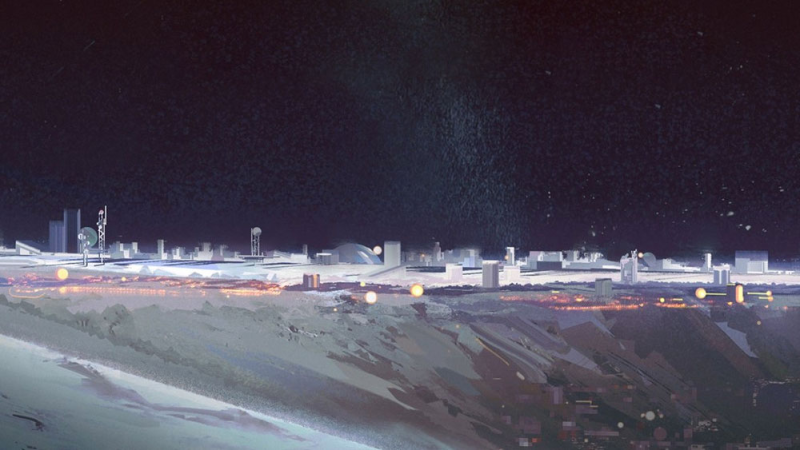 I had my mind blown repeatedly by 2015's bumper crop of science fiction, but one novel stands out even so: Luna: New Moon, Ian McDonald's hybrid of Heinlein's "The Moon is a Harsh Mistress" and "The Godfather," an unlikely and spectacular success of a novel that left me drooling at the thought of a 2017 sequel, which drops today: Luna: Wolf Moon. New Moon brought us to a Moon where five great families ruled all in a libertarian, Heinleinian paradise (for some values of paradise), where implanted chips monitored and billed you for your consumption of the "Four Elementals" (bandwidth, water, carbon and oxygen -- if your funds are short, you'd best learn to breathe shallowly and drink your own purified piss) -- where "Jo Moonbeams" fresh up from disintegrating Earth get work as bodyguards and strongarms thanks to their Terran muscles, but must return to Earth within two years, before their bones and hearts weaken too much for the journey. The Five Families -- from China, Brazil, Russia, Australia and Ghana -- have established an uneasy but enduring peace on the Moon, but it's a jealous one, and each schemes to overthrow the other, held in check only by the thought of all-out war and the effect that it would have on the Moon's delicate technosphere, all that stands between the people of Luna and quick, painful death by vacuum. But in book one, the fragile peace is broken, and as the Corta family is swept from the gameboard, the resulting power vacuum threatens the entire structure of the Moon, and makes it vulnerable to a power-move from Earth, from whom the Five Families have maintained a careful independence. The fights and vengeance that follow are more vicious and intricate than anything in Game of Thrones, full of great acts of self-sacrifice and viciousness alike, brave cavalry charges and last stands, cowardice and avarice. McDonald's great gift is to hold the micro- and macro-scale in his hand at once. Starting with his debut novel, 1988's Desolation Road, McDonald has used his intense, finely crafted and small personal stories of his vast casts of characters as the pixels in an unimaginably vast display on which he projects some of the field's most audacious worldbuilding -- never worldbuilding for its own sake, either, but always in the service of slyly parodying, critiquing or lionizing elements of our present-day world. As McDonald says in this IO9 interview, "One of the joys of SF is putting constraints on humans and seeing how humanity responds."